Sherry has deep roots in Spain, where it was produced by the Phoenicians starting about 1100 B.C. If you have a dry sherry, drink it at room temperature. If it's sweet, try it chilled, recommends the Wine Intro website. While enjoyable, sherry isn't calorie free. Sherry has about 75 calories per 2 oz. serving, according to the College Drinking Prevention website created by the National Institute on Alcohol Abuse and Alcoholism. That compares with the 90 calories in a same-size serving of port. 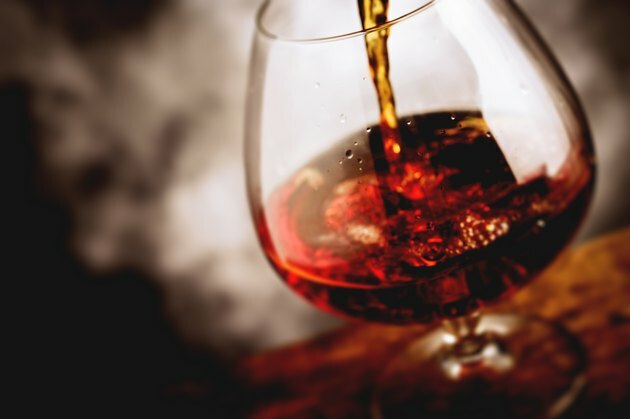 People tend to drink smaller servings of sherry because it has a higher alcohol content than other wine varieties, notes the Wine Intro website. Alcohol has about 7 calories per g. A 4 oz. serving of white or red wine has about the same number of calories as a 2 oz. glass of sherry, with the white wine coming in at 75 calories and the red at 80. Sherry is less caloric than other dessert type drinks. Liqueurs that include a coffee liqueur or triple sec have 188 calories per 1.5 oz serving.